In late 2015, US Federal Properties (USFP) was selected to develop a three-story Department of Veterans Affairs (VA) Outpatient Clinic in San Jose, Calif. The new 95,000 square-foot clinic replaces an existing single-story community-based clinic. The project broke ground in April 2016. 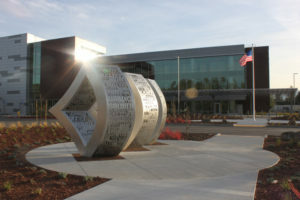 Construction was complete and the clinic doors opened in early 2018. The San Jose VA clinic was awarded to USFP based on quality, price and a clear understanding of the client’s needs. The San Jose clinic is USFP’s seventh VA development, bringing its five-year VA healthcare facility project experience to nearly 820,000 square feet. 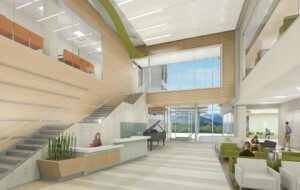 Designed for LEED Silver Certification and to take advantage of a unique and inspiring site, the San Jose clinic’s exterior wood veneer composite panels and transparent glazing will be a reflection of the surrounding landscape offering views of Mount Hamilton and the Santa Cruz Mountains to the east and west. healthcare team that ensures whole-person care. In addition to USFP, the San Jose project team included Jacobsen Construction and Hoefer Wysocki Architecture.